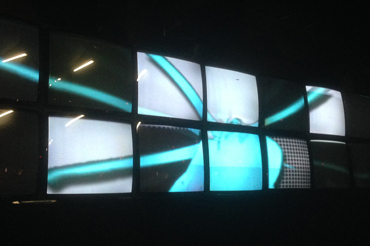 We made this superwide, 8x2 video wall using old CRT TVs from our hire stock, along with with custom made visuals made specially to fit. we also created specially made effects which give the illusion that each TV is turning on and off individually, which you can see in the video. We use a combination of software and hardware to achieve the non-standard video size, which is an unusual 16:1.5 ratio! 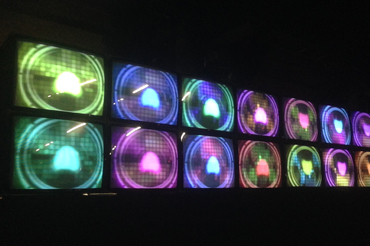 This and other video wall configurations of our retro CRT TVs are available to hire.